For FY17, this goal remains as far from reach as it was in FY16. The first month of the fiscal year, July 2016, is now completed. Revenue numbers gathered by COGFA from the Illinois Department of Revenue and allied State agencies continue to chow declining cash flows to the State from the private sector, with overall general funds down $109 million (-4.8%) from July 2015, the first month of FY16. As in earlier months in calendar year 2016, the decline was attributed to shortfalls in income taxes declared and transmitted from Illinois residents and business firms to the State, with personal income tax revenues dropping $77 million and corporate income tax revenues dropping $35 million on a year-by-year basis. COGFA’s economic team pointed to several key indicators pointing to nearly flat business activity nationwide in the U.S. private sector, including a reduction in inventories and declining business spending on nonresidential fixed investment. Hit by downturns in China, in the global market for crude oil and in many other key areas, the nationwide U.S. economy’s gross domestic product grew by only 1.2% in the second quarter of calendar year 2016 (the final quarter of State of Illinois FY16) on an inflation-adjusted basis. Under these conditions, COGFA economists do not expect the State’s revenue picture to turn upward any time soon. Major property tax hikes seen in 2016; further hikes projected in 2017 and following years. The new bills will add thousands of dollars to the annual burden faced by many City of Chicago homeowners. The increases imposed on owners of Chicago commercial and residential property in tax year 2015 (billed in calendar year 2016) represent the first year of a series of hikes to be imposed on these properties and their owners over a three-year period. Another city hike will appear on bills in calendar year 2017, and a third hike in 2018. The three years of increases imposed by the City of Chicago will increase city property tax extensions by a total of at least $225 million. In addition, Chicago Public Schools has been cleared to increase city property taxes by an additional $250 million in calendar year 2017. In both cases, the increases are described as being required to meet increased costs imposed by the past underfunding of local pension systems. The credit rating used by lenders to assess the suitability of Chicago and Chicago Public Schools to borrow money has been lowered to junk-bond status. Blame for the poor credit ratings are attributed to the persistent underfunding of pensions, in conjunction with the repeated adoption of “balanced” budgets that appropriated inadequate sums to cover the long-term cost of pension and retirement benefits promised to vested beneficiaries. New tax on piped water supplies and drainage will raise $239 million over five years. 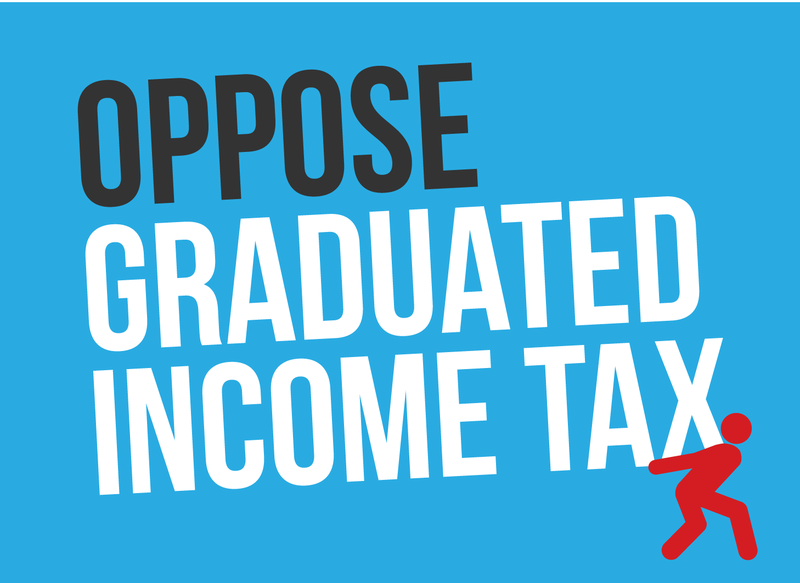 The new tax was unveiled this week by the office of Chicago Mayor Rahm Emanuel. The additional levy, if approved by the Chicago City Council, will be phased in at escalating rates over a four-year period. The levy will tax water and sewer bills at a rate of 7% in the first year, 14% in Year 2, 21% in Year 3 and 28% in the fourth year. Experts estimate the added tax burden imposed by the new tax will be equivalent to a bill supplement of $225.96/year upon an average Chicago household in Year 4. In addition, the levy could rise by additional amounts after the fourth year should actuaries report that additional hikes are necessary to meet required contribution levels to the Chicago Municipal Employees pension fund, which currently is severely underfunded. Actuaries report that this fund currently faces approximately $18.6 billion in unfunded liabilities, a sum greater than $6,000 for each man, woman, and child counted by census authorities as living within city limits. The pension gap is supposed to be reduced to ‘only’ 10% underfunding in the target year of 2057. Gov. Rauner signs bill to reduce penalties for small-scale cannabis possession. The measure, SB 2228, applies to possession of marijuana (cannabis) in amounts less than 10 grams (about 0.35 oz.). Not a decriminalization measure, the new State law will reduce the penalty for possession of small amounts of cannabis from a criminal offense to a civil offense. Civil offenses can, under constitutional law, be dealt with by court in a much more summary manner and with a completely different procedure than criminal cases. In a typical civil offense, a defendant will be subject to orders by the court, such as mandatory attendance at a substance-abuse treatment center that charges fees on attendees. In return for fulfilling all the conditions of civil court supervision, the court will typically expunge or seal the records of the case against the defendant. The defendant will also be required to pay a fine at a level set by laws and local ordinances. Under the new Illinois law, the State fine for possession of less than 10 grams of marijuana will be $200. In addition to this fine, each individual court will impose substantial fees as they are allowed to by law. Court fees traditionally cover the operating costs of the circuit court system, but a wide variety of fees have been added onto the civil offense fee structure in recent years as quasi-taxes to raise revenue for a variety of people, places and offices. Under previous law, possession of small amounts of marijuana could be charged as a Class B criminal misdemeanor. Persons convicted of this offense could be sentenced to serve up to six months in county jail, although by 2016 few defendants were given the maximum penalty. The new State law was signed by Gov. Bruce Rauner on Friday, July 29. IBM annual report indicates Chicago a leader in foreign investment. The computing service firm’s annual investment report, “Global Location Trends 2016,” places greater Chicago 7th in the world as an attractive location for foreign investment. The East Coast-based firm depicts Chicago as the only North American metropolitan area to appear in the global top 20. IBM, historically a manufacturer of computer hardware, has deemphasized this business in recent years in favor of data service management software and solutions. The firm tracks 18,000 non-U.S.-based firms accountable for more than $100 billion in direct Chicago-area investment. Chicago’s status in the most recent IBM report indicates an ongoing transition in the infrastructure advantages of the Chicago area. The “Windy City,” which has traditionally specialized in infrastructure oriented toward the physical movement of goods, has supplemented this asset with an increased focus on electronic broadband ties to other locations in the United States and throughout the world. These cables are, in many cases, tied to data centers throughout the Chicago area, including centers oriented toward cloud computing. The “top 10” metro areas flagged by IBM are London, Paris, Amsterdam, Dubai, Bangkok, Singapore, Chicago, Berlin, Manchester-Liverpool, and Brussels. Negotiations continue to try to forestall scheduled closing of power plants at Clinton, Quad Cities. The owner, the interstate electricity generator Exelon Corp., points to market prices for electricity generated by burning natural gas. Exelon states that the two plants, taken together, have lost a combined $800 million over the past seven years. State law partly regulates the prices that Exelon’s subsidiary, ComEd, can charge for the electricity it generates and allows many Illinois customers to work with a variety of wholesale suppliers to purchase their electricity. One of the factors looked at by regulators, wholesalers and customers is the market price of electricity generated from other sources, such as natural gas. Clinton, which generates electricity from nuclear power, is scheduled to close on June 1, 2017, and the two nuclear reactors at Quad Cities are scheduled to close on June 1, 2018. Efforts continue in Springfield to change Illinois law in ways that would allow the two plants to continue to operate. Clinton and Quad Cities together employ about 1,500 paid employees. Changes in law sufficient to allow these two plants to continue to operate would require some sort of mathematical formula to partly “decouple” Clinton-Quad Cities electricity prices from the prices charged by alternative power sources, such as merchant electricity sold by generators that burn natural gas; and to impose the price of the decoupling upon a significant geographic area. By partly decoupling their pricing structure from natural gas and imposing the new structure upon customers throughout a large geographic area containing many customers, Exelon and its subsidiary ComEd could increase electric rates and keep the two nuclear-reactor plants running. The two plants, which are both based in Downstate Illinois, generate electricity for the northern and central Illinois markets. Under a new proposal approved this week, a similar ‘surcharge’ pricing structure will be imposed in the state of New York to save threatened nuclear power plants on Lake Ontario. In addition to continuing negotiations on the State’s electricity law, Exelon is also making plans to help employees affected by these potential shutdowns. A report this week indicates that many or all of the current employees at Clinton and Quad Cities may be offered job transfers to other geographic locations within Exelon. Traditional North American fish may be potential predator for Asian carps. Several varieties of carps have established dominance in the Illinois River and many of its tributaries in recent years. Asian carps, in typical rivers throughout eastern North America, establish dominance because they have no predators in some rivers, or because exiting predators in other rivers are inadequate to catch them and eat them in large numbers. Biologists are hoping that reestablishing the alligator gar, a historic Southern fish once viewed as a trashy predator and extirpated from Illinois waters in the 20th century, may be a way to find a fish that will eat the voracious carps. The alligator gar, so-called because of its reptile-like teeth and jaws, has never gone extinct in the far U.S. South. The last alligator gar in Illinois was, however, caught near Cairo in far southern Illinois in 1966. The fish was officially declared extinct in Illinois in the 1990s. Predator-species reintroduction has worked in some other parts of North America. For example, wolves were reintroduced to Yellowstone National Park in 1995. The alligator gar will be able to outsize its potential prey. The new-redeemed superfish can grow to a weight of more than 300 pounds and can stretch more than 9 feet long. Fish biologists caution that the alligator gar may have the wrong shape of jaw to eat adult Asian carps, and may want other fish in its diet. Historically, the big fish was a predator upon gizzard shad. 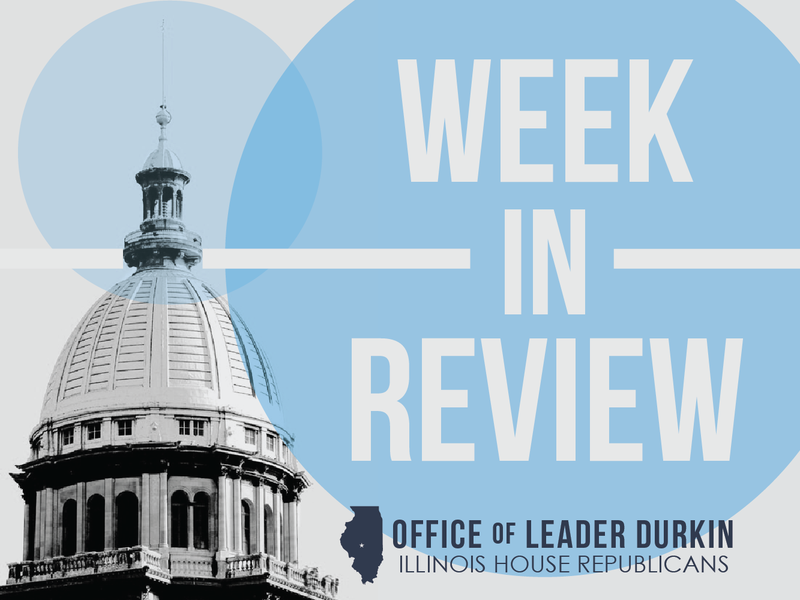 In 2016, both houses of the Illinois General Assembly unanimously adopted HJR 141, a joint resolution of support for efforts by the Illinois Department of Natural Resources (IDNR) to reintroduce the alligator gar in Illinois. New representative takes oath of office for west suburban district. The new lawmaker is Representative David Olsen of Downers Grove. Local political leaders chose him to replace former Rep. Ron Sandack, who resigned on July 25th. The west-suburban 81st District contains portions of Darien, Downers Grove, Lisle, Naperville, Westmont and Woodridge. Olsen took the oath of office as the District’s new representative on Wednesday, August 3. Olsen, 27, joins the Illinois House after serving on the Downers Grove Village Council. His fellow aldermen selected him as Mayor Pro Tem in 2015. He was also elected to the board of trustees of the College of DuPage, where he served as vice chairman. Olsen is a graduate of Downers Grove South High School and the University of Illinois at Urbana-Champaign (UIUC), where he studied business and was elected president of the UIUC student body. An active member of the Methodist Church, Olsen is currently employed in regulatory compliance at a major commodities trading company in Chicago. He has already filed to run in November 2016 for a full term to continue to represent the 81st House District. Sharp increases in ACA premiums disclosed for coverage year 2017. The increases, disclosed by federal law, will fall with special force upon Illinois residents who are required by law to buy health insurance in the individual marketplace. Hundreds of thousands of Illinois residents have worked their way through the Get Covered Illinois website to purchase the mandated health insurance. However, premiums for 2017 are expected to increase by as much as 45% for some Illinois customers and patients. 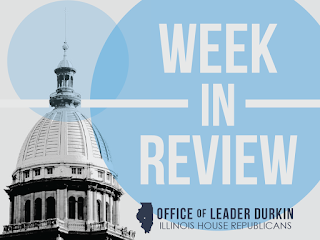 The status of ACA-covered patients in Illinois deteriorated in recent weeks with the financial failure of a health insurance co-op, Land of Lincoln Health, which specialized in writing policies for individual Illinois residents. 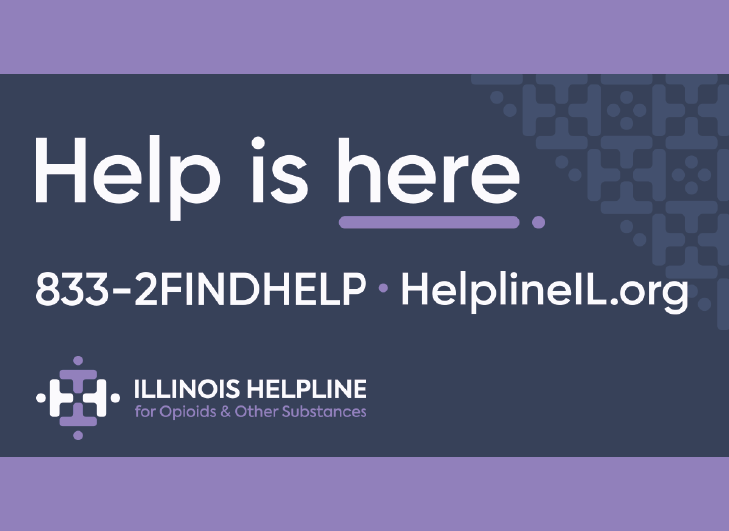 Approximately 49,000 Illinois residents had been covered by Land of Lincoln. The current primary surviving writer of individual ACA-compliant health insurance policies in the greater Chicago area, Blue Cross Blue Shield, has disclosed that it will propose premium increases ranging from 23% to 45% in 2017. The insurer blamed rising medical care costs, particularly for mandated care and branded pharmaceuticals. In some cases, depending on household income, some Illinois residents may be able to file for a federal tax credit that may partly offset the costs of their premiums. Some financial advisors may be able to advise Illinois residents on health-care insurance options. 60-day re-enrollment period opens for health care customers affected by Land of Lincoln insolvency. The financial failure of Land of Lincoln Health, an Affordable Care Act co-operative that had been oriented towards helping Illinois residents find affordable coverage in compliance with federal mandates, has made it necessary for former Land of Lincoln policyholders to find a new ACA insurer after they lose their coverage on September 30. The federal government is overseeing a new, special 60-day enrollment period for former Land of Lincoln policyholders only. During this 60-day period, these policyholders will have the chance to re-enter the insurance marketplace and find new insurance coverage for the period starting October 1, 2016. The Special Enrollment period created as a result of this insurance co-op shutdown began on August 2 and will end on September 30. During this period of time, Land of Lincoln policyholders who are facing the imminent loss of their minimum essential coverage (MEC) under ACA will have the chance to report their imminent loss of coverage. If these enrollees report their imminent loss of coverage prior to the deadline and complete a valid enrollment process to join a new healthcare plan, they should not face a potential interruption in their healthcare services. In some cases, former Land of Lincoln policyholders who join new plans will have to change their doctors or make other changes in their established healthcare activities. In addition, the new plans who may make offers to enroll Land of Lincoln policyholders are not likely to grant standing to arrangements made by these patients with Land of Lincoln with respect to health care deductibles and copayments; any health care payment clocks a patient may have been on are likely to be re-set by the act of moving from one insurer to another. In addition to exercising their Special Enrollment rights, Illinois residents looking for ACA coverage will also need to continue to monitor opportunities and deadlines surrounding the Open Enrollment period for full-year 2017 coverage. The calendar year 2017 ACA enrollment period will start on November 1, 2016 and will close on January 31, 2017. Foundation chooses site in Jackson Park, Chicago. The Obama Foundation, a body selected to oversee the development of a presidential museum and library to observe the 44th President, has chosen a site on the south side of Chicago. Jackson Park, the site of the World’s Columbian Exposition of 1893, is also the home of the Museum of Science and Industry. The presidential center will be built adjacent to Woodlawn, a historically African-American neighborhood that has undergone rapid gentrification in recent years. The site selection recognizes the long residence of President Barack and First Lady Michelle Obama in Hyde Park, a neighborhood that borders Woodlawn. Promoters say this will be the first U.S. presidential museum/library complex to be built in an inner-city setting. Secretary of State’s office to resume mailing annual vehicle registration reminders. Owners of the 10.4 million motor vehicles in Illinois must renew their license plate registrations annually. In return for paying $101, they get a colored decal to apply to their license plate as a signal that the plate is good for one more year. Some motorists choose to pay slightly more money to get a specialty license plate and decal. Additional revenues raised from specialty palates are distributed to causes that include Illinois open space and violence prevention. The plates and decals are overseen by the Illinois Secretary of State’s office and the money raised by the plates and decals are used to operate the office and maintain the system. Until October 2015, the Office would send out a mass-market reminder to owners of vehicles with soon-to-expire license plates, as a nudge to the motorist to make the required payment and receive the required decal sticker. Starting in fall 2015, however, the Secretary of State’s office stopped sending out these letters, lacking explicit appropriations authority to spend money for this purpose. Prior to this interruption, the reminder-letter program cost $450,000/month in postage and mailing costs to operate. In late June, the General Assembly enacted new legislation authorizing the Secretary of State to resume the mailings. The authority was contained in the so-called ‘stopgap budget’ enacted for FY17. The Secretary of State’s office will also seek legislative authority to recompense itself for part or all of the cost of the mass mailing by including advertising in the registration renewal reminder warning. In an announcement made on Monday, August 1, Secretary of State White announced that his office had resumed the transmission of vehicle registration reminder notices to Illinois motor vehicle owners. White’s office will also continue to operate an alternative warning system in which motorists nearing their registration deadline will receive a warning notice by email. State Park installation will honor veterans who struggled with PTSD. The monument, to be called the Forgotten Warrior Memorial Wall, will pay tribute to the sacrifices paid by U.S. veterans who contracted PTSD and then ended their lives. The wall itself will be made of granite and will be ground-framed by concrete pavement bricks. Sponsors of the Memorial Wall will be able to work through the project’s organizing agency, K9s for Warriors, to install individual name-etched bricks in the pavement. Channahon State Park is located southwest of Joliet near Interstate 55. The memorial wall is slated to be dedicated on or around Veterans Day, November 11, 2016. Summer construction season in full swing. The annual peak period of road-and-bridge construction and reconstruction in underway in Illinois. Special traffic laws govern motorist activity in work zones. Safety is strongly advised, with enhanced fines for moving violations in work zones. Police are authorized to issue work zone citations during times when workers are not present. Construction and road maintenance vehicles are among the motor vehicles protected by “Scott’s Law,” the law familiar to most Illinois motorists that strongly encourages motorists to change lanes (if they can do so safely) and slow down for emergency, construction and maintenance vehicles. More information about work zone safety can be found here.